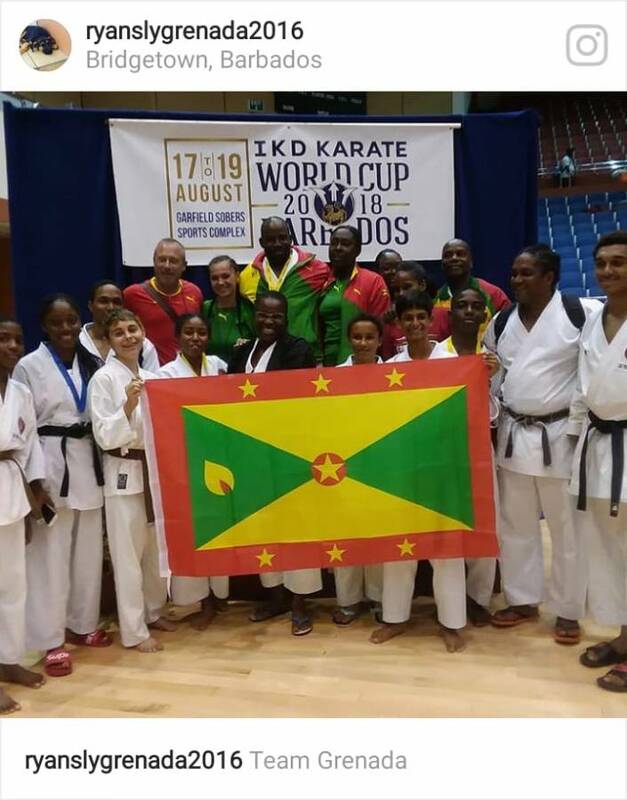 While most persons were enjoying the carnival festivities, team members of the Grenada Shotokan Karate Association were readying themselves to represent Grenada at the 3rd International Karate Daigaku (IKD) World Cup. The competition was held during the period 17-19, August 2018 at the Garfield Sobers Gymnasium, St Michael, Barbados. The IKD World Cup is held every 3 years and provides an opportunity for members worldwide to compete against each other while at the same time improving fellowship amongst members. At this highly competitive Shotokan Karate competition, there were well over 300 competitors from across the globe including several Caribbean Islands, Canada, USA, South Africa, South America, and England. In total Grenada earned 6 medals: 1 silver and 5 bronze. The team must be congratulated for their hard work and dedication and excellent representation in the 2018 IKD World Cup. This is groundbreaking for Grenada as it is a first that the Grenada Shotokan Karate Association has secured medals at an international level.